The myth that blockchain industry startups don’t make money has been largely shattered by investor documents that show Bitfury Group is generating revenue that would make it competitive against more mainstream companies. Founded in 2011, the venture-backed startup that started as a bitcoin mining operation, and that has since expanded to offer other software services, generated $93.7 million revenue in fiscal year 2017 according to the documents obtained by CoinDesk. In total, this was a 70 percent increase year-over-year. Of that revenue, earnings before interest, tax, depreciation and amortization (EBITDA) were $24.7 million based on a 26 percent margin. The firm – based in Amsterdam with offices in San Fransisco, Washington, DC, Riga, Latvia and Hong Kong – has already raised more than $100 million in venture capital, according to the documents, about $10 million more than the previously known number. When those numbers are compared to revenue from venture-backed startups with similar numbers, Bitfury Group fits in with some recognizable names across more mainstream industries. Last year, small business loan startup Kabbage generated a bit more than Bitfury Group with $97.4 million in revenue, but raised significantly higher equity funding with $239 million, according to the most recent Inc 500 list. Software company Yext, which went public earlier this year, actually generated less revenue than Bitfury Group, with $89 million after raising about $117 million. In addition to Bitfury Group’s revenue generated by bitcoin transaction fees, the company also lists a total of 500,000 bitcoins “generated to date” from the protocol’s block rewards. At today’s prices of about $2,600, that would amount to $1.3 billion earned from mining, though there is evidence some of those bitcoins have been sold. To give an idea of how Bitfury Group’s mining operations compare to the overall bitcoin network, the company listed a 9 percent market share in March 2016 compared to an 11 percent share a year later. To put that in a bigger context, the documents reveal the only miners with a larger market share are Bitmain, with 19 percent and F2Pool with 12 percent. The materials, which appear to be part of an effort to raise additional capital, also include numerous forecasts for the company’s own growth, as well as that of the entire industry. Notably, by the year 2021, Bitfury Group predicts it will be generating $585 million in revenue. Of that, $302 million (52 percent) is expected to come from transaction fees ($163 million) and mining rewards ($139 million); $217 million (37 percent) is expected to come from third-party infrastructure solutions including its Blockbox mining unit; and $66 million (11 percent) from b2b services, including its newly revealed Exonum enterprise grade blockchain. But it’s the total market for bitcoin transaction fees that appears to be BitFury Group’s most enticing business vertical. At least as far back as 2014, Bitfury Group co-founder Valery Vavilov has been working diligently to change the perception that his company was not a “mining” company. Nearly three years later, the investor deck appears to confirm that this transition has been successful. Since that 2014 interview, Bitfury Group has grown to 250 employees, up from 70, according to Vavilov. He also cited the company’s role in helping create The Global Blockchain Business Council, The Blockchain Trust Accelerator and the Blockchain Summit, currently underway, as evidence of its broader mission. “These are early days in blockchain, and we believe the future of bitcoin and the entire blockchain ecosystem shines bright,” Vavilov said. 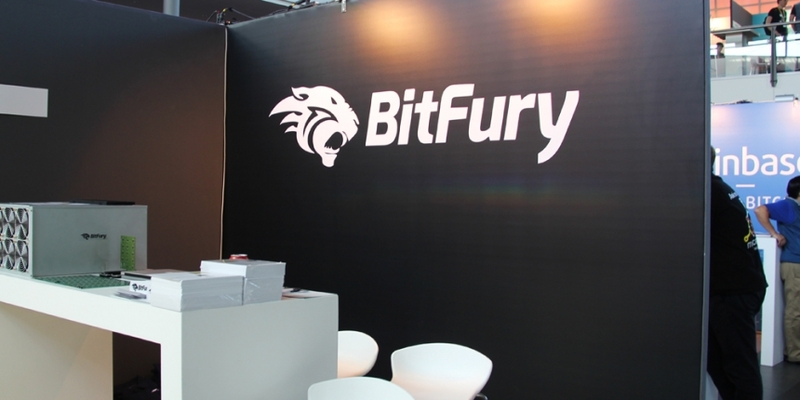 As part of that broader scope, Bitfury Group has migrated much of the bitcoin mining wording to another website, giving the Bitfury Group domain a much more enterprise-driven appearance. The investor documents support that broader work by painting a picture of a much more “holistic business strategy” than one would expect from a pure mining operation. While mining chips still make up a significant portion of the strategy (and indeed the revenue) going forward, the documents also describe a “full envisioned product portfolio” built around software licenses for the Exonum enterprise blockchain and other unannounced efforts. Correction: A previous version of this article incorrectly stated that $13 billion dollars was created from Bitfury’s block rewards.